We are proud to announce that Icare Dental has been awarded as the Best Dental Clinic by the Natural Health Readers Choice Award 2016 . We’d like to thank Natural Health for allowing Icare directors to be at Murfest 2016 on last Friday (4 Nov) to receive the award. The Malaysia Urban Retreat Festival (MURFEST) started as a concept to bring in a different feel in the Festival scene in Malaysia by integrating “Wellness, Music & Dance” into a 3 day event that would bring over 80 world class Facilitators, Musicians and Artists to Malaysian Tourism Center (Matic) and become Asia’s number one platform in the Health & Wellness industry. Recognition like this make us want to thrive harder and better. 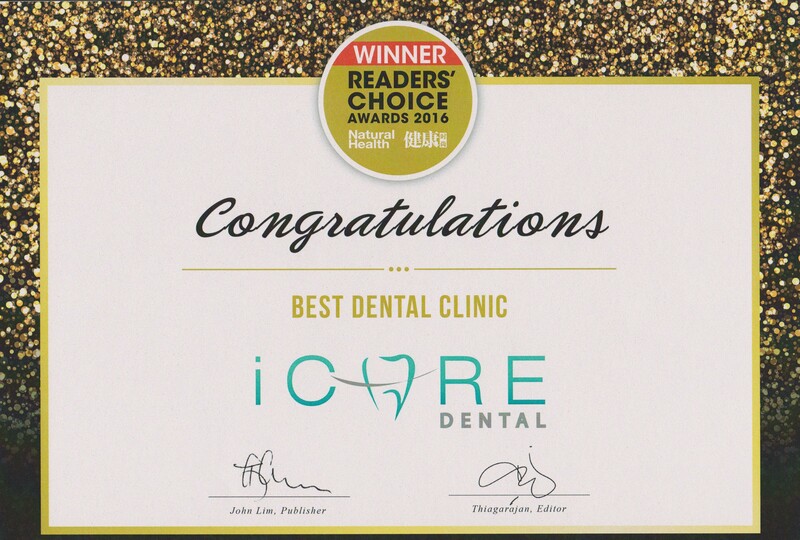 We would like to sincerely thank the readers and our valuable clients for trusting Icare Dental, helping us to reach a stage where we can proudly hold up this award as a mark of our achievement. Icare Dental promise to only get better at our work to try to provide you with the best dental treatment across Malaysia. Thank you!